Mother’s Day Brunch at Vivo is the perfect way to celebrate Mom this Mother’s Day. Our brunch will feature a mix of stations and buffet items, mimosas for mom and a special kids buffet set at the perfect height to delight even the littlest guests. 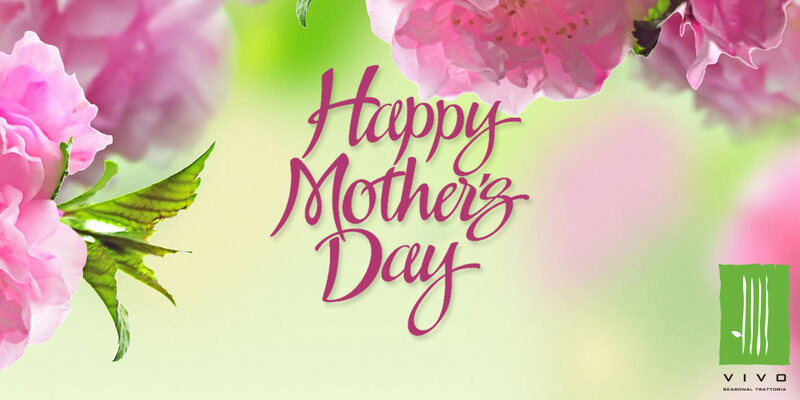 Enjoy Mother’s Day Brunch 2019 at Vivo | Seatings at 11:00 AM, 1:00 PM and 3:00 PM | $39 per person | $19 children under 10 | Complimentary mimosa for Mom! Chilled shrimp cocktail w/ horseradish Dijon sauce. Jonah crab claws. Shucked littleneck clams w/ lemon cocktail sauce. Stonington cold smoked salmon, chopped egg, red onion, capers, whipped cream cheese & sliced tomato. Sliced pineapple, cantaloupe, & honeydew. Blueberries, blackberries & strawberries. Beef tenderloin – mushroom demi w/ horseradish sour cream. Oven Roasted Turkey – natural gravy w/ cranberry sauce. Baked Ham – Honey glazed w/ dijon. Featuring fresh vegetables, potatoes, lobster meat, duck confit, ham, VT cheddar, Gruyere, Gouda & American cheese. Warm Vermont maple syrup & strawberry sauce w/whipped cream. Assorted breakfast pastries. Choice of Penne or Tortellini w/ Marinara, Alfredo, or Bolognese. Caesar salad, rosemary croutons, lemon caesar dressing. Mediterranean quinoa salad, tomatoes, red onions, mixed olives, feta vinaigrette. Seasonal vegetable platter. Mini petit fours, tiramisu, macarons, tartlets, cakes and more..
Prices are subject to CT State sales tax. A 20% gratuity will be added to parties of 6 or more.